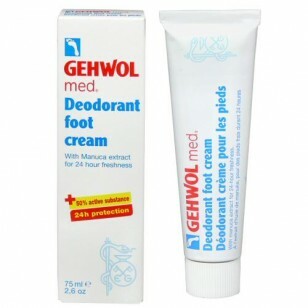 The GEHWOL Med Deodorant Foot Cream features jojoba oil, aloe vera and a highly effective combination of manuka oil along with active zinc oxides for the long-lasting elimination of strong foot odor. 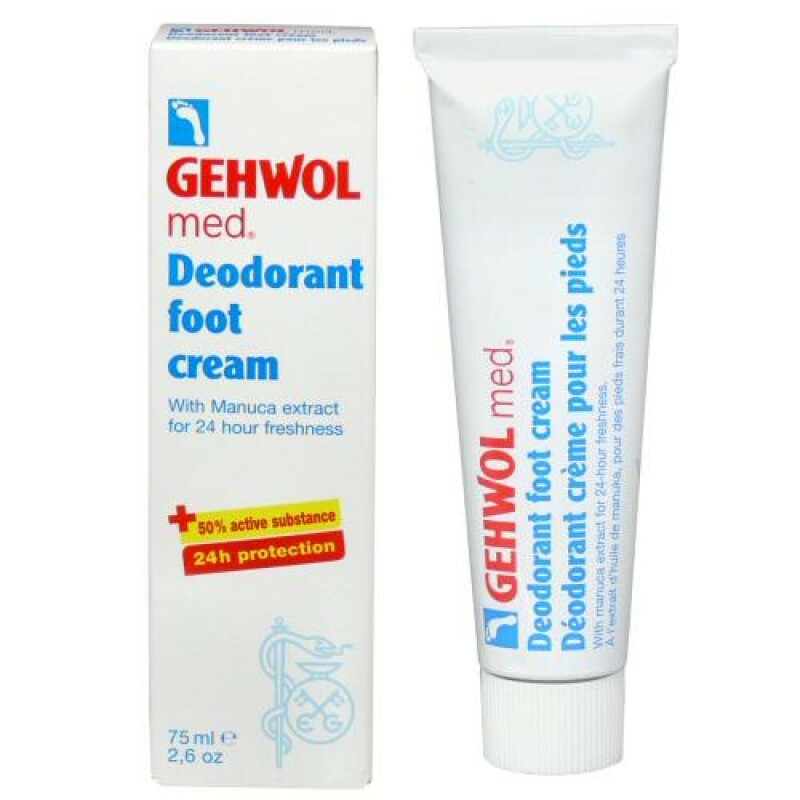 Manuka oil: Skin-friendly and offers protection against bacteria, ideal for general foot hygiene. Zinc oxide: Excellent for the care of sensitive skin with its skin-protecting properties. Aloe vera: Offers regenerating and moisturizing effects. Natural jojoba oil: Absorbs quickly into skin and supports important skin functions. Dermatologist Tested. Suitable for diabetics.